As journalism students at the UO last year, Kaylee Tornay and Brittany Norton landed a cover story in Eugene Weekly that addressed a workable response to both crime and homelessness. During an investigative reporting course, Tornay discovered how often police arrested the homeless. She was in another class with Norton that taught them how to use their reporting skills to find workable solutions to civic problems. 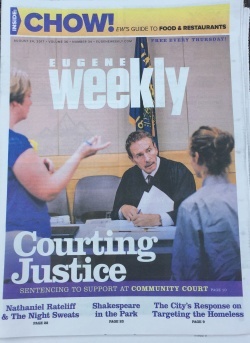 The result — their cover story on Eugene’s community court, which works with repeat offenders on underlying issues instead of relying on punishment alone. This emerging approach uses evidence-based reporting tactics to examine potential solutions to societal problems. Catalyst integrates both teaching and academic research into its mission, as well as public lectures and discussions. Journalism instructor Kathryn Thier, associate professor Nicole Dahmen and assistant professor Brent Walth spearhead the project, which grew out of their conversations about the common goals shared by investigative and solutions journalism and their desire to help students publish in professional news outlets. Walth, a Pulitzer Prize-winning investigative reporter, said that the best investigative journalism often includes reporting on ways to address the social problems it uncovers. “The combination of these two methods seemed like an ideal fit,” Walth said. Catalyst is garnering national attention and support. The Solutions Journalism Network, with funding from the Enlight Foundation, is supporting the project with a $185,000 grant. The funds will be used to support UO student reporting, solutions journalism curriculum development and multiday workshops to train university faculty members from across the country in the teaching of solutions journalism. Catalyst also received additional funding through teaching and research grants from the Tom and Carol Williams Endowed Fund for Teaching and the David and Nancy Petrone Faculty Fellowship. The research examines the process and effects of the investigative/solutions model to understand journalistic impact and build theory. Beyond the classroom, the initiative aims to provide students with experiential learning opportunities. That’s how Tornay and Norton ended up developing a cover story as part of their coursework. Students produce published stories, and faculty members coach them through that process, mentoring them on everything from idea generation to pitching editors to using innovative reporting tools to develop stories. 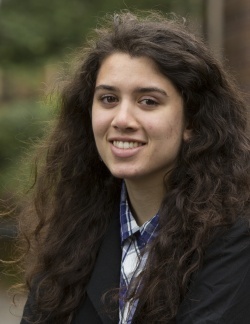 Tornay said the combination of pioneering coursework and real-world experience makes a big difference in how she’s approached journalism, both as a student at the UO and as a professional reporter. She’s now employed by the Medford Mail Tribune, covering education and other local issues for the daily newspaper based in Southern Oregon. That approach to reporting is a core component of the Catalyst Journalism Project’s curriculum. Students learn how to find and analyze evidence, think through limitations, consider the effectiveness of any given solution and ask questions that fully interrogate these responses to social issues. 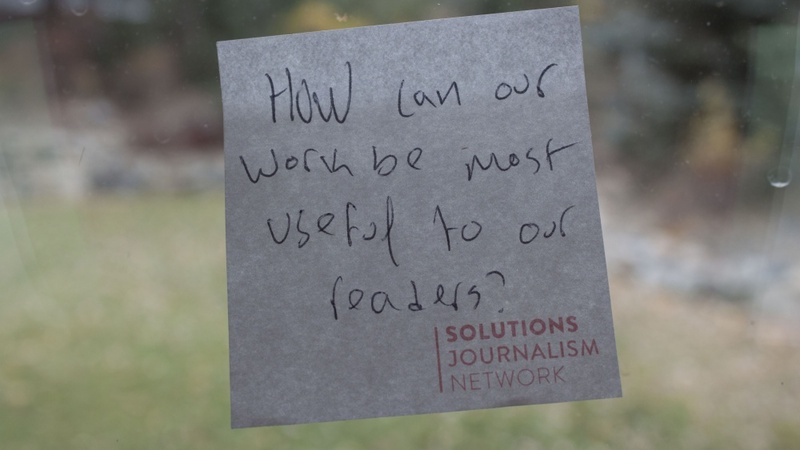 Faculty members stress that solutions journalism does not offer silver-bullet fixes to such deep-seated issues, but rather it provides readers with a thorough examination of responses to societal problems.